How will market changes in 2017 affect San Marin Townhomes? Affordability is key! The bay area’s housing shortage will ensure strong demand for well-priced, high-quality homes. Novato has more of these homes than any other part of Marin. 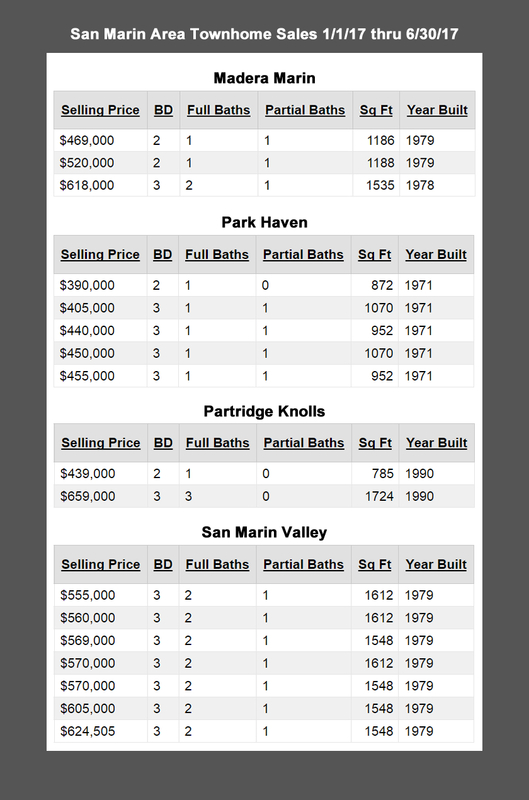 The charts & graphics below show market activity for townhomes in the San Marin area of Novato. WHAT ARE SAN MARIN TOWNHOMES REALLY WORTH? Even the best online algorithm can be misleading. A key indicator of market strength is how long homes take to sell. Check our Days-on-Market graphs below to learn more.